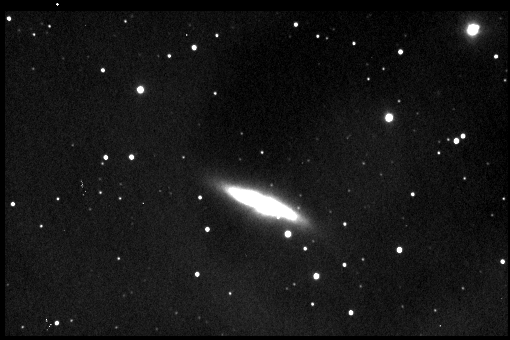 On January 21 a supernova was discovered in the galaxy M82. Relatively near at about 12 million light years away, it is the nearest optical supernova in two decades. 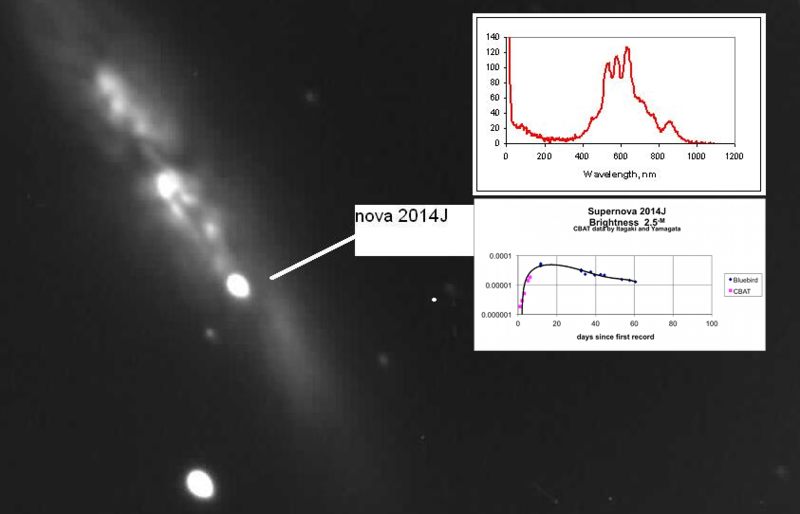 See the linked NASA Story for more details or simply search 2014J supernova on the web for lots of information. Of course, nothing compares to studying it personally, so here are some initial images of 2014J from Bluebird II. The inset shows the spectrum.